Starting in late December, 2012, I’ve been jamming weekly w/ my singer/songwriter/guitarist friend, Michael Glenwright. The premise was to merge my drum machines and dj’ing with his guitar and synth act. 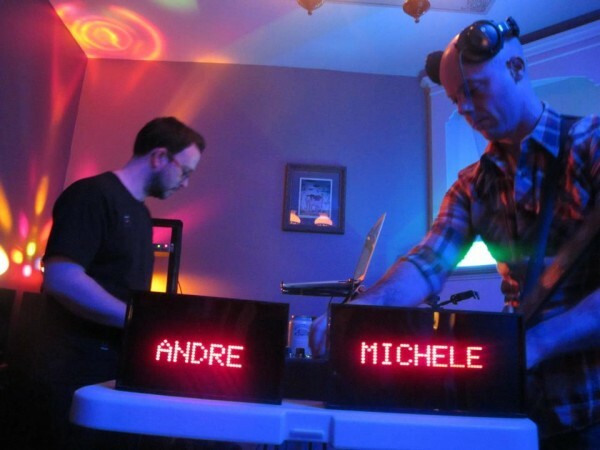 It took a few sessions to iron out the set up, going from a dj looper -based set-up to using Ableton Live as the glue to handle live looping of Mike’s guitar/bass/synth/ebow and sequencing/mixing my percussion via various drum machines. I’ve added a dedicated page here on this site, and detailed info about the set-ups is included in the respective notes for each set/track on our Soundcloud and Mixcloud pages.